The 2009 Honda RINCON 680 EFI for sale will make hunting, riding in the woods or just joy-riding so much easier and FUN! This fully automatic, Camo Rincon is 2wd and 4wd, IRS. 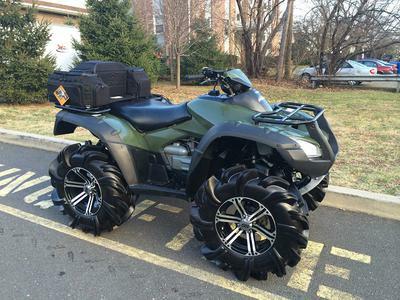 This ATV is said to have one of the most dependable, quiet motors making it very popular with hunters and nature lovers worldwide. GoGoCycles encourages our visitors to take some time to write a review of the 2009 Honda RINCON 680 EFI for sale to make the biker community aware of any problems that are common to the used ATV or to highlight its positive features and help potential buyers make informed decisions. It's located in Asheboro NC North Carolina and my asking price for the camouflage Honda Rincon 4x4 is $5200 and to get more information and photos on the used Honda four wheeler for sale, please call (no e-mail) 336-736-8six56 (and don't forget to mention that you found this ad on GoGoCycles Used Honda ATV for Sale gogocycles.com) when you call.